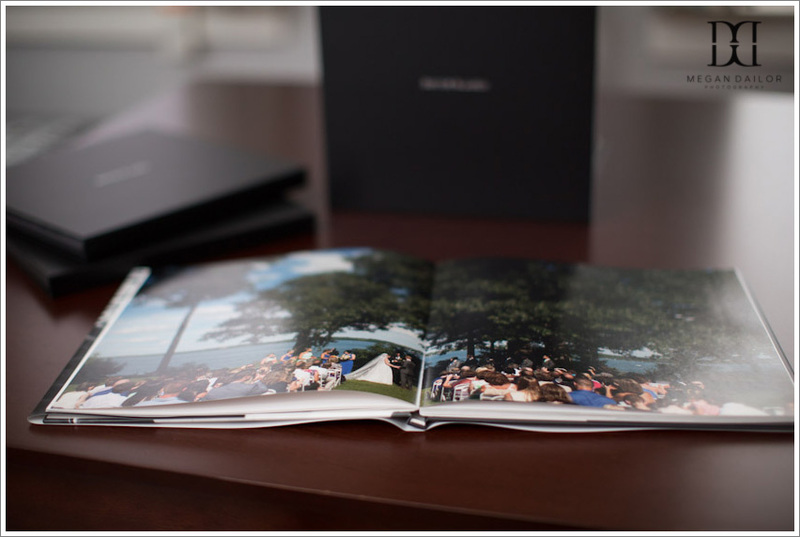 I am excited to announce an upgrade to one of the wedding albums I offer! The coffee table style album now has lay flat pages which make it easier to hold and look at, and a LOT more fun to design! With a nearly non-existent gutter in the middle, it is easier to design across the full spread without worrying about losing important details in a wedding photograph! I've been working on a lot of wedding albums this winter, I'm finally getting around to posting pictures from this set from December! 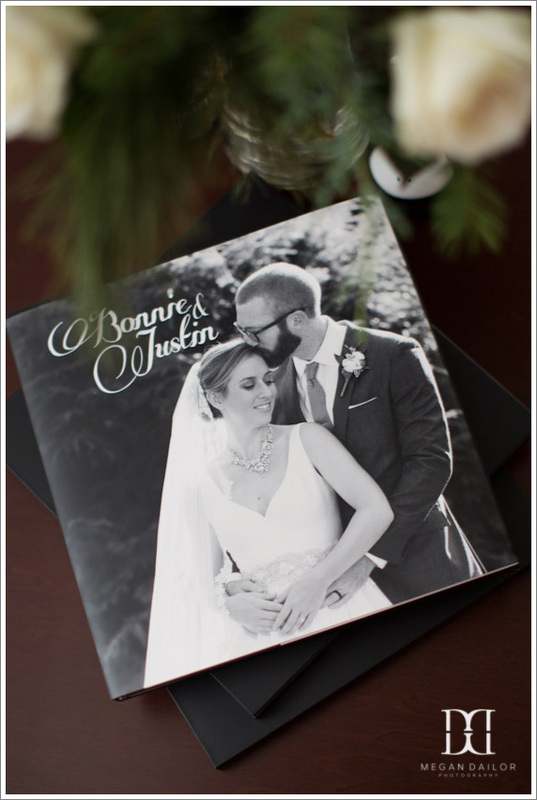 Bonnie and Justin's wedding at Belhurst Castle was a beautiful and joyous day and it was so fun to design these albums for them and their parents. When I photograph a wedding, the goal is to tell the story of the day. 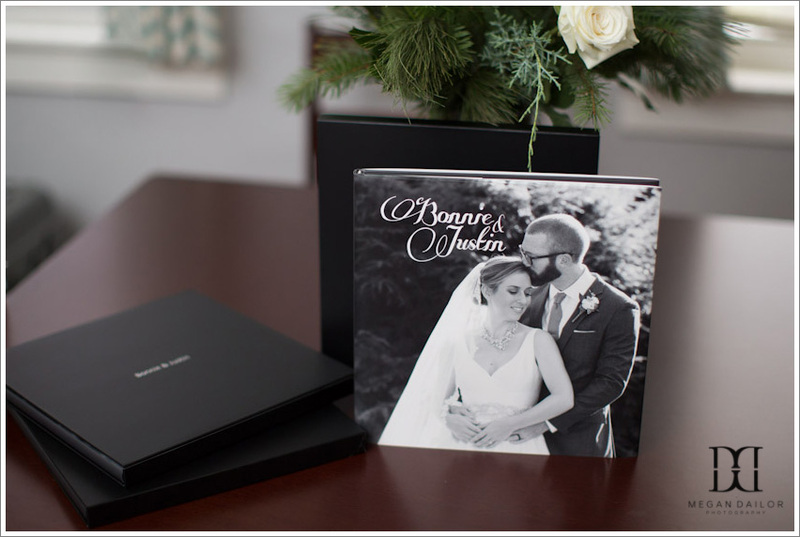 When I design the album, it is the final, gorgeous keepsake commemorating the first day of your lives as a married couple! They're such an important piece of your history, something that can be handed down to children and grandchildren to look at. Technology moves so quickly (Apple already phased out DVD drives a few years ago, I'm sure USBs will not be around forever!) but you'll never have to worry about whether your album is compatible with your latest computer. Check out these lovely books!